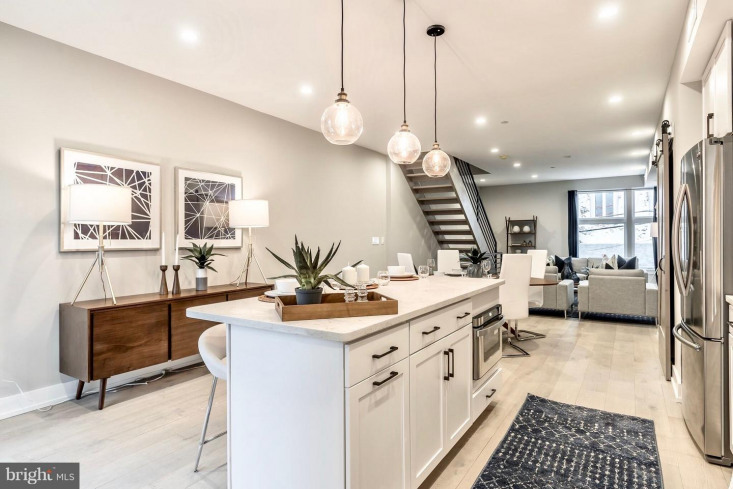 Welcome to Blair Garden now 50% SOLD, a premiere gated community in Fishtown, Philadelphia. 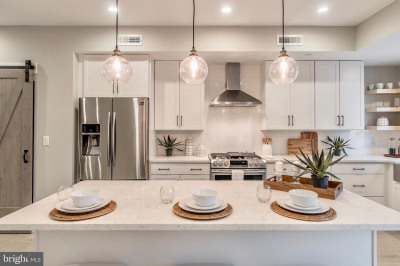 Blair Garden has a total of 18 single family homes and have been designed with convenience in mind. 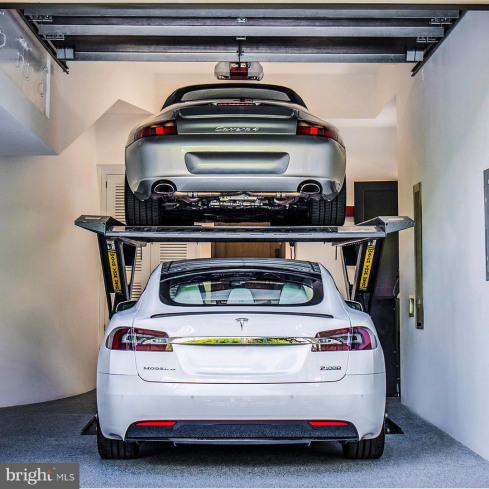 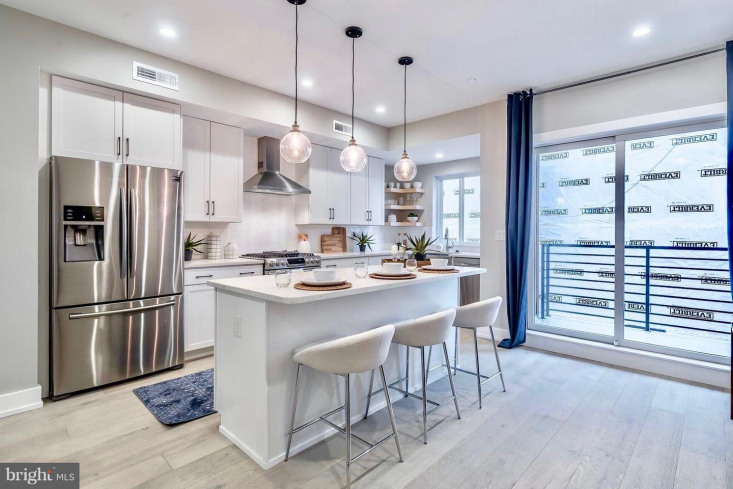 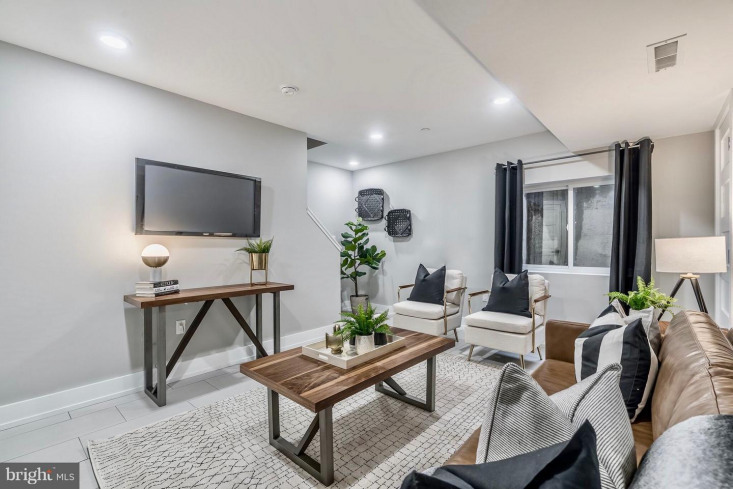 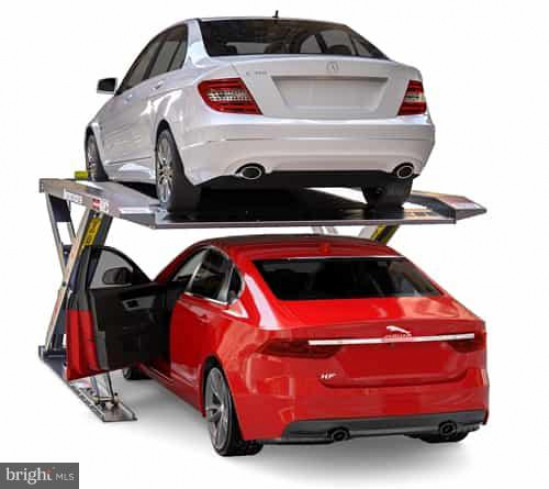 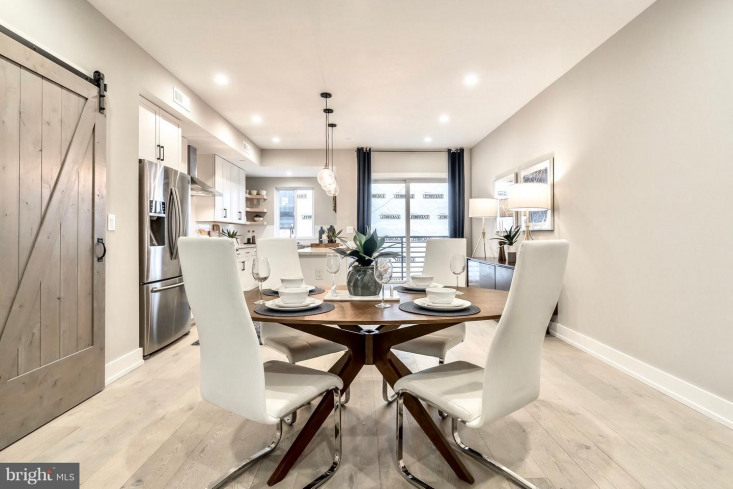 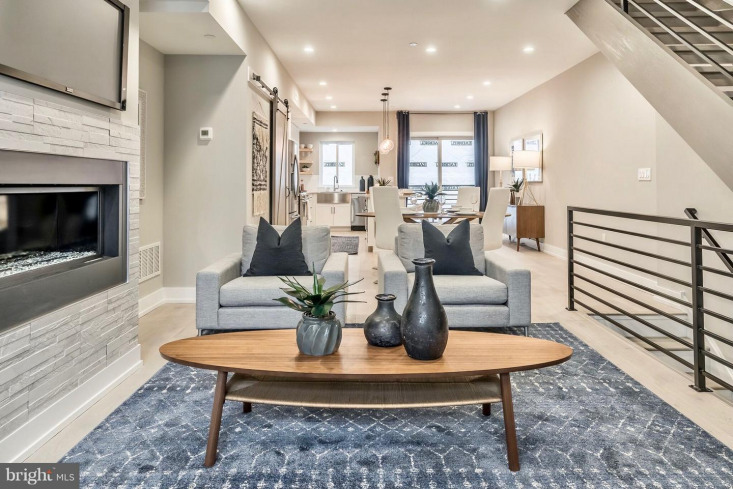 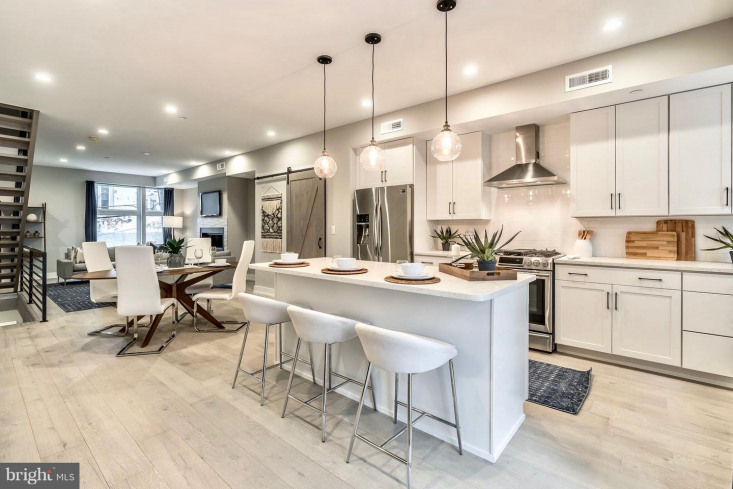 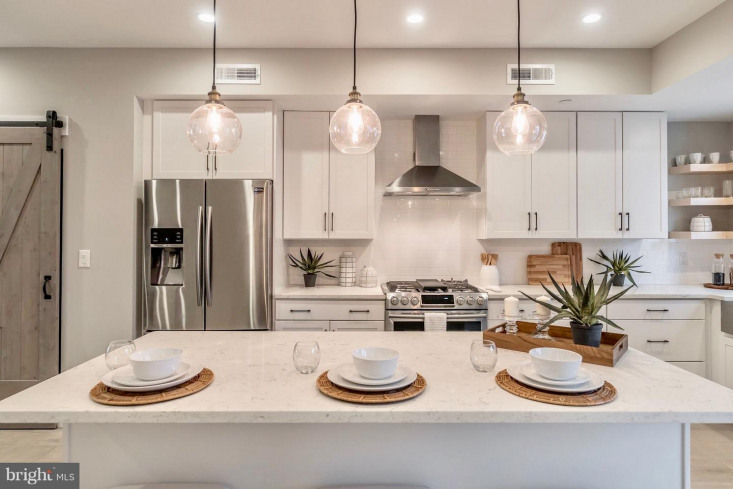 All of these homes include a 1 car garage with the option to add a lift inside the garage to gain a 2 car garage and even an option for 3 cars by adding a parking spot in the courtyard for your exclusive use. 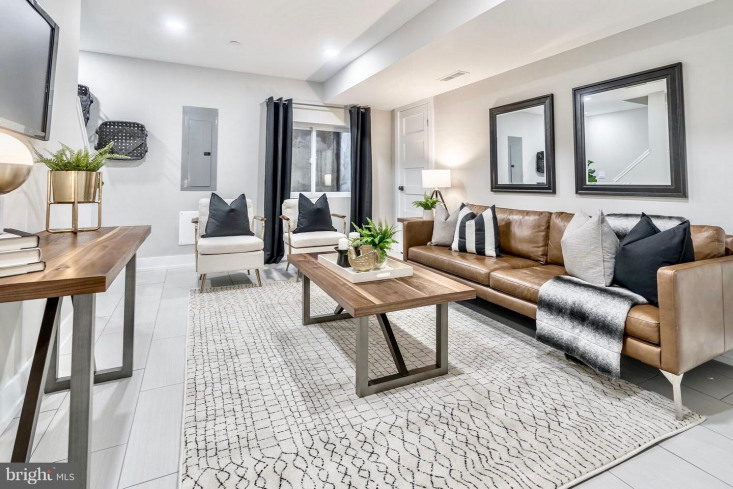 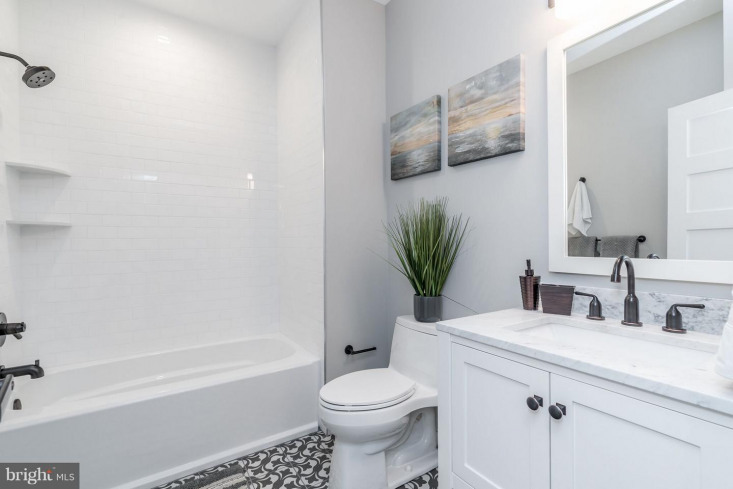 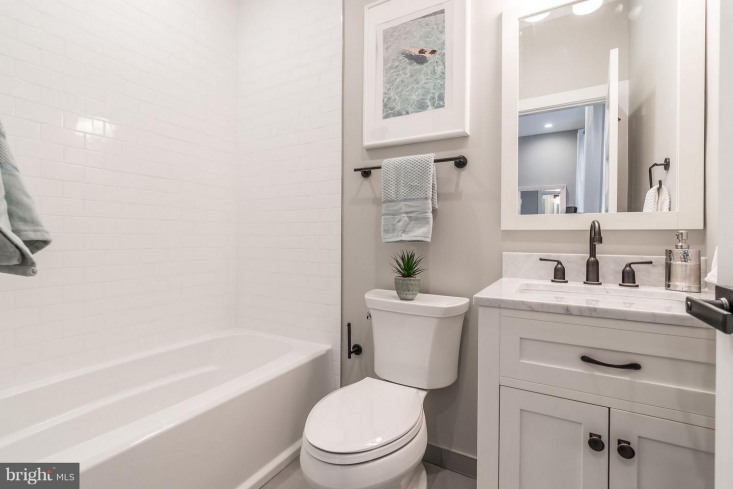 Once you enter the home you will immediately feel at home with a conference room / office / bedroom on the first floor with a full bathroom and storage closet down the hallway. 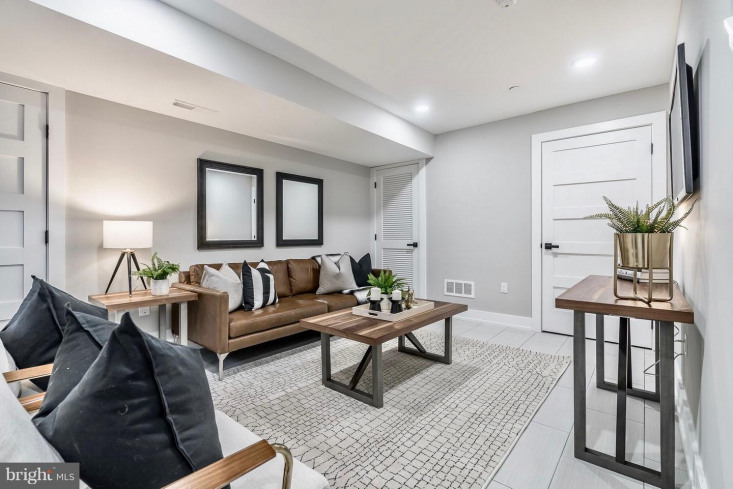 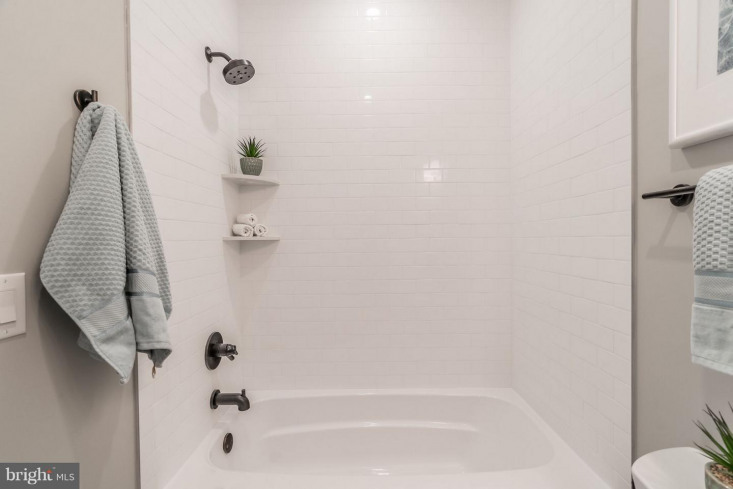 Step downstairs to the finished basement where you will find an additional space that can be used for your new media room, second living room space or play area. 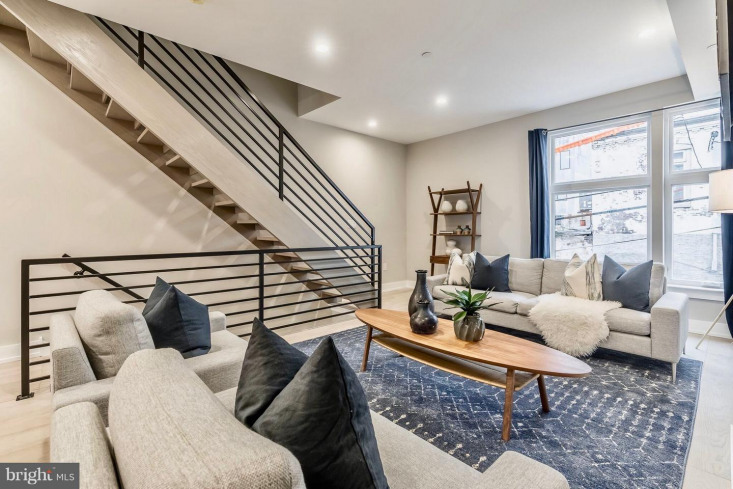 Let~s go back up the stairs to the second floor where you will discover the open concept living room / dining room / kitchen level. 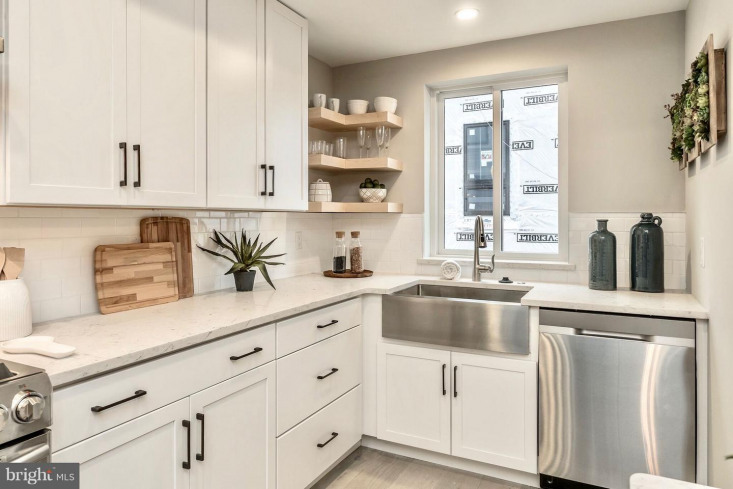 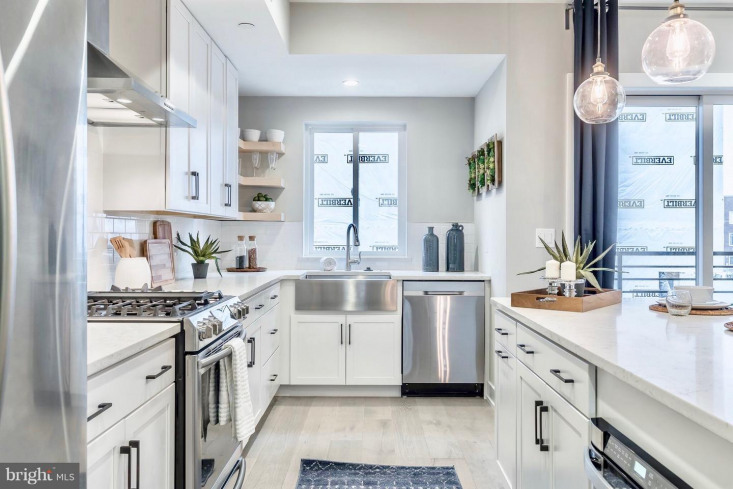 The kitchen is built with a chef in mind from the gas cooking range to the stainless steel farmhouse sink and herb shelves at the kitchen window over to the oversized kitchen pantry. 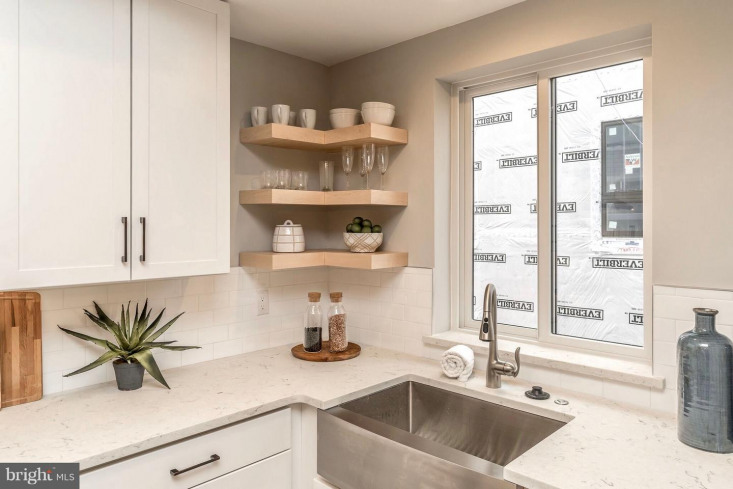 Round out the kitchen area with a sliding glass door that leads you outside to the fiberglass deck for grilling or chilling. 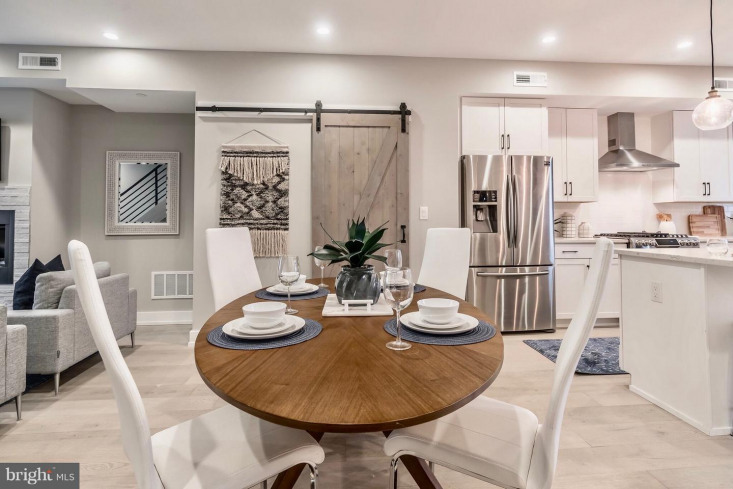 Pass back through the sliding glass door and past the kitchen where you~ll find ample space for your dining room table that leads you into the living room space. 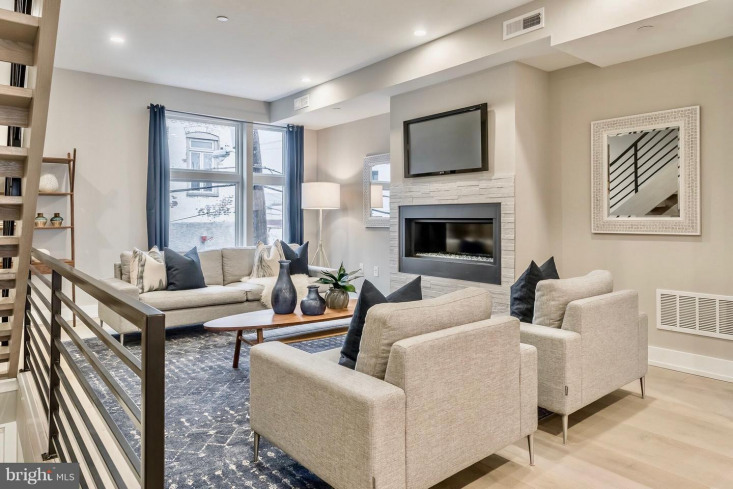 Upgrade your living room with a beautiful warm fireplace for those cool fall and winter evenings. 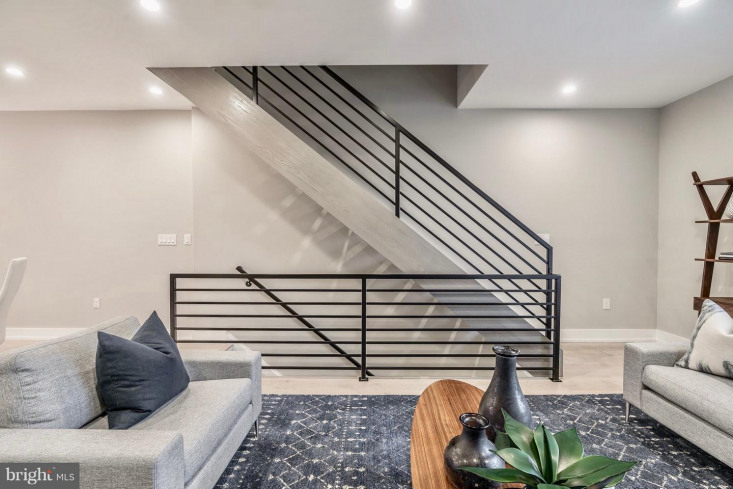 Now let~s walk up the staircase to the third floor where you~ll see an optional wetbar at the top. 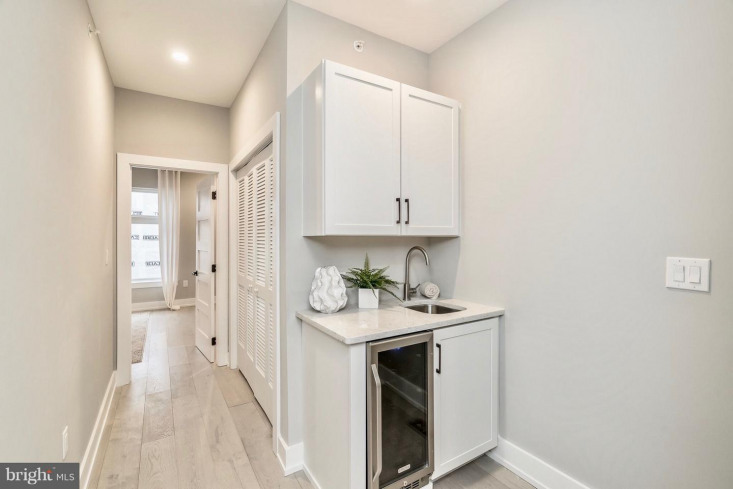 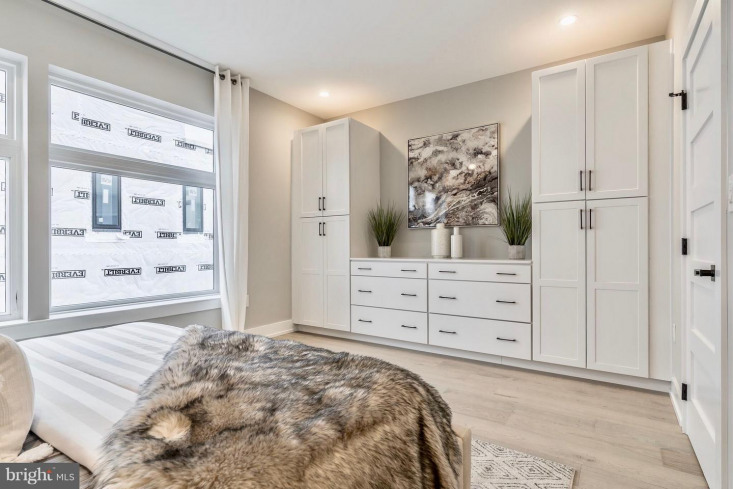 Down the hallway you~ll notice the laundry closet to the right as you enter a beautifully appointed master bedroom suite complete with optional built ins for additional clothing storage. 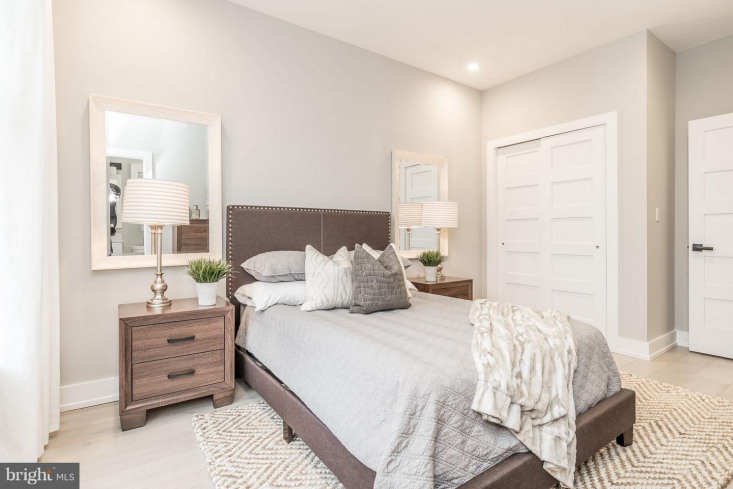 The master bedroom accommodates up to a California King bed with nightstands on either side. 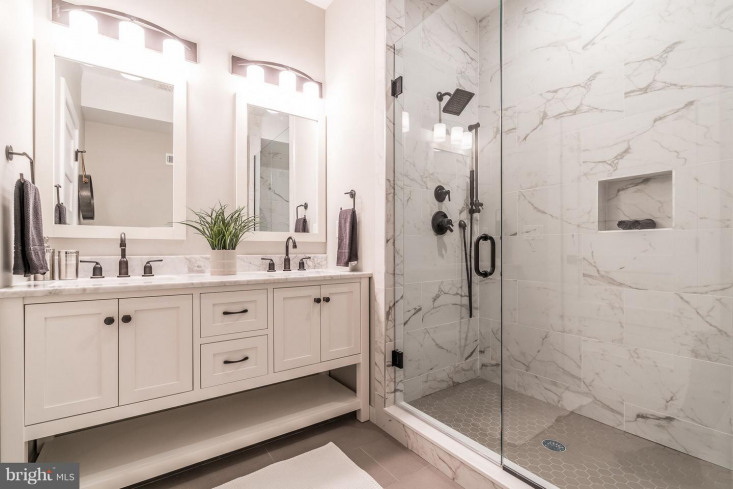 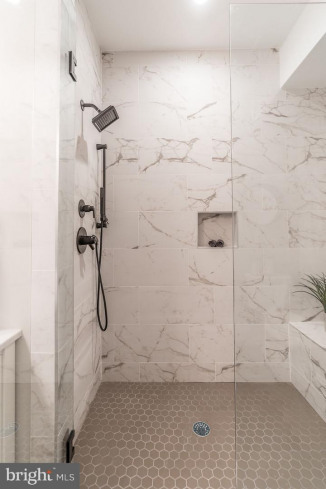 Walking past the his and hers closets you will enter the master bathroom with glass shower stall and dual vanity sink. 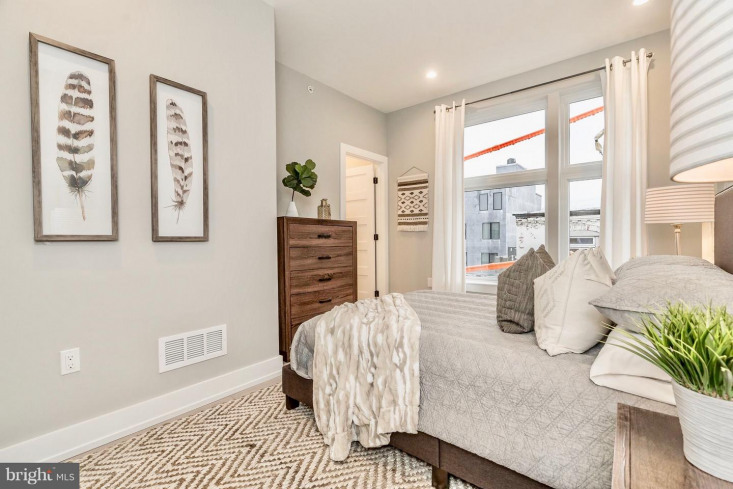 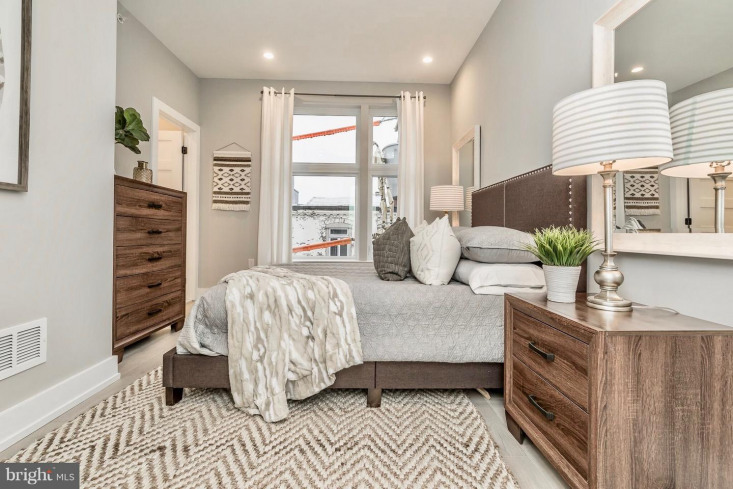 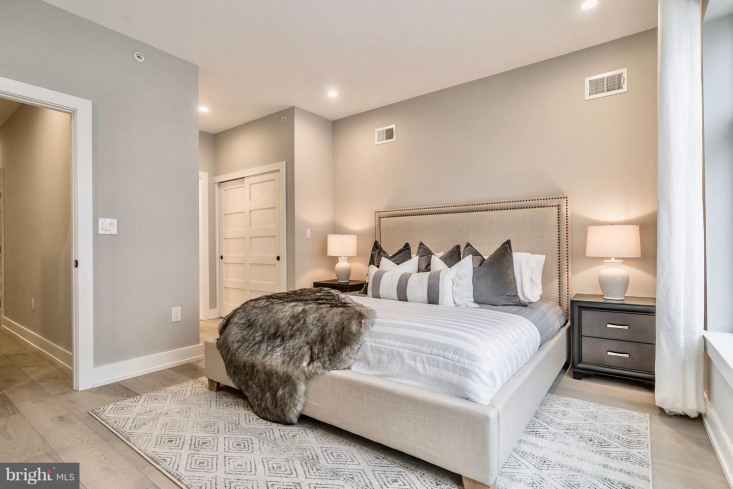 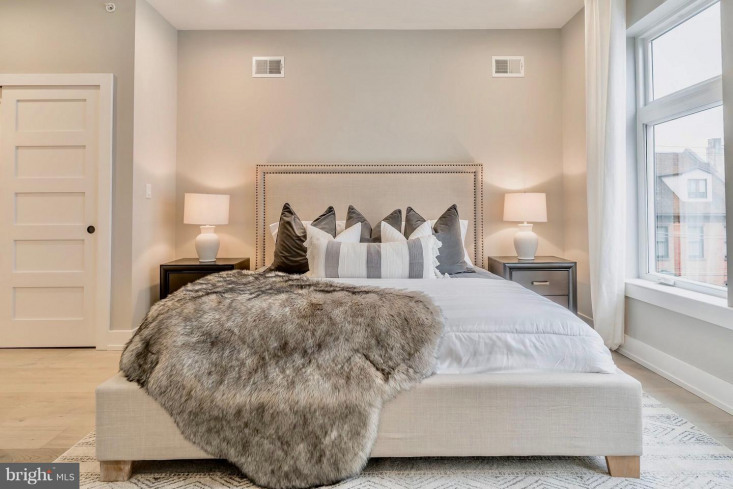 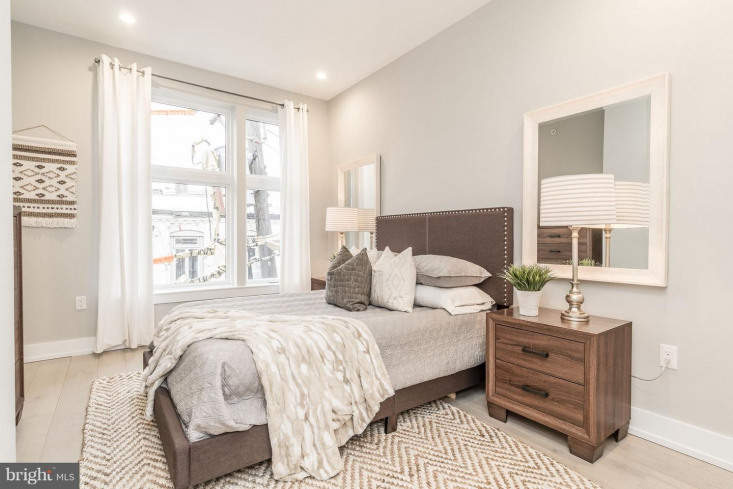 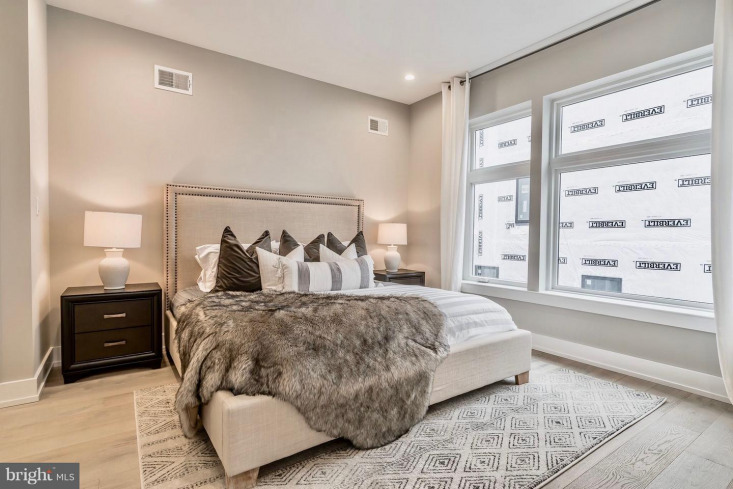 Once you have had your fill of the master bedroom suite let~s walk back down the hallway to the third and final bedroom of the home which fits a queen sized bed and nightstands and completed with a full bathroom accessed from the bedroom. 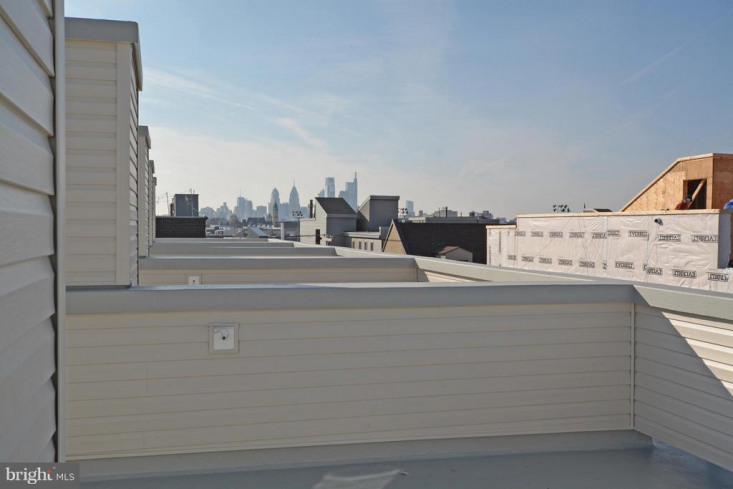 Finally, take a walk up the stairs from the hallway to check out your roof top deck for those fantastic Philadelphia Skyline Views! 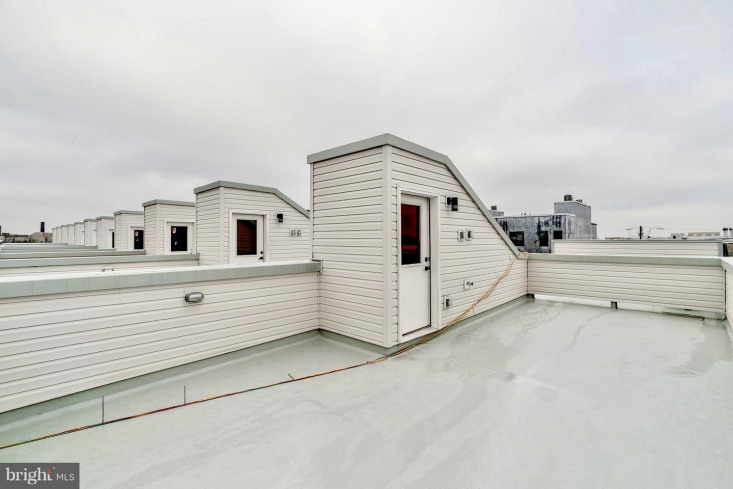 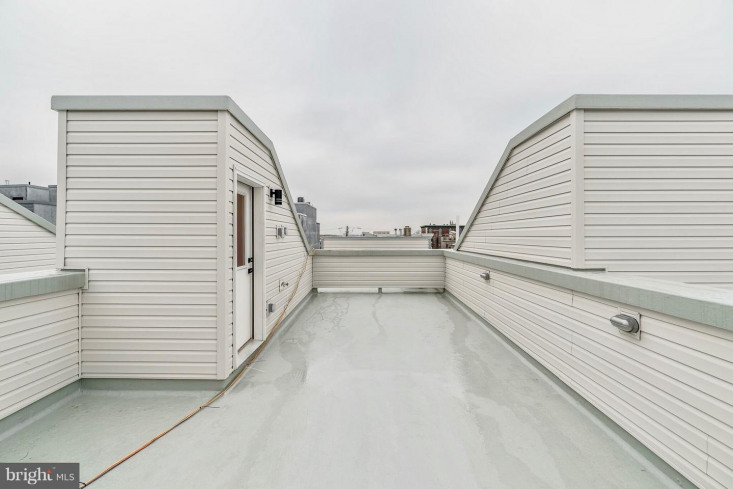 The roof deck is equipped with a water hose bib, electric, lighting and tv hookups. 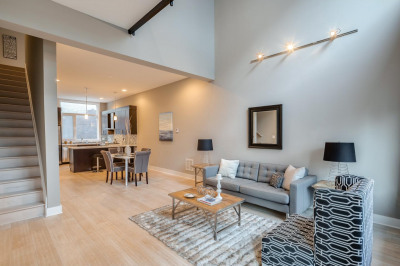 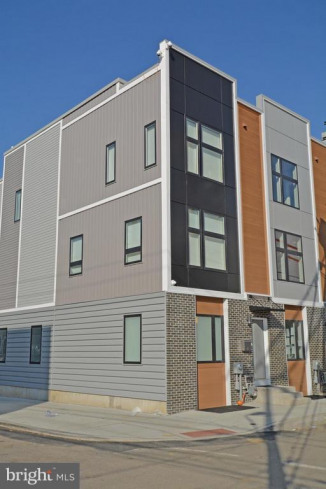 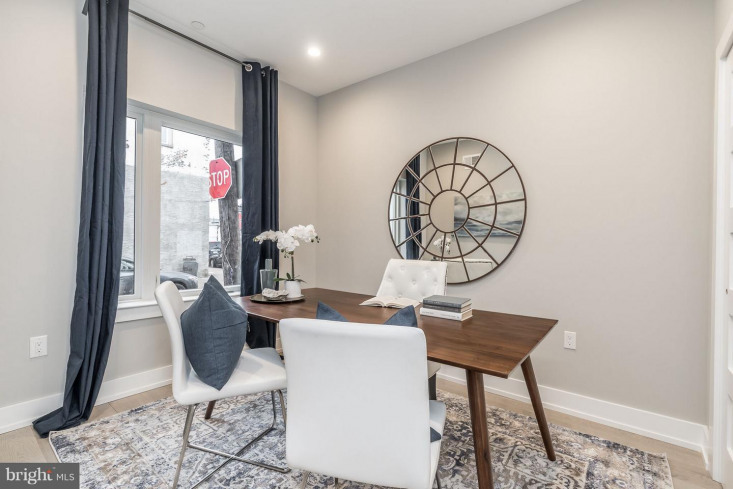 LOCATION LOCATION LOCATION - these homes are in one of the great pockets in Fishtown 19125. 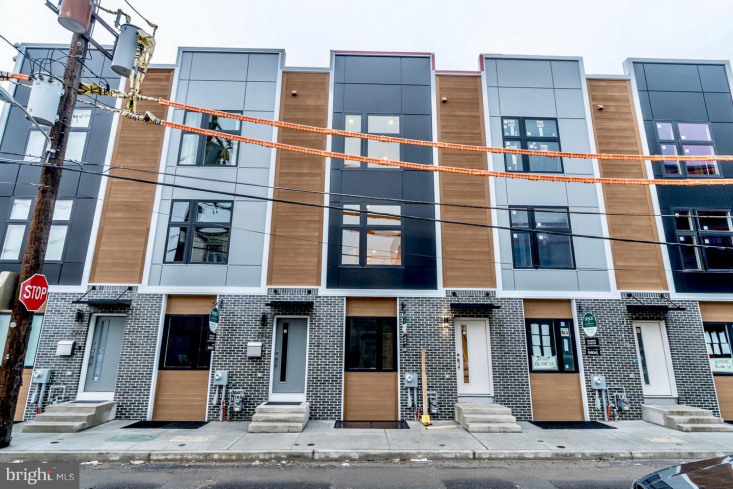 Just steps away from delicious restaurants up and down the Frankford Ave corridor, Philly Style Bagels, Steap and Grind, Suraya, Frankford Hall, Evil Genius MicroBrew, Wm. 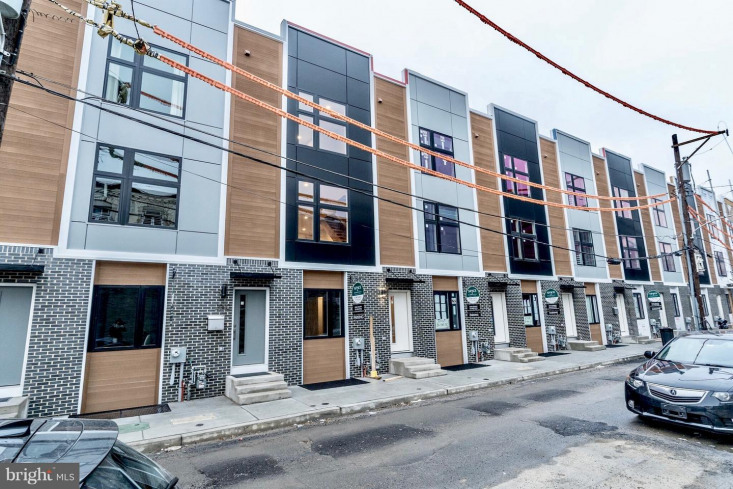 Mulherin's & Sons, Front Street Cafe and much more, not to mention City Fitness Gym, Fishtown Pharmacy and the Berks El Stop. 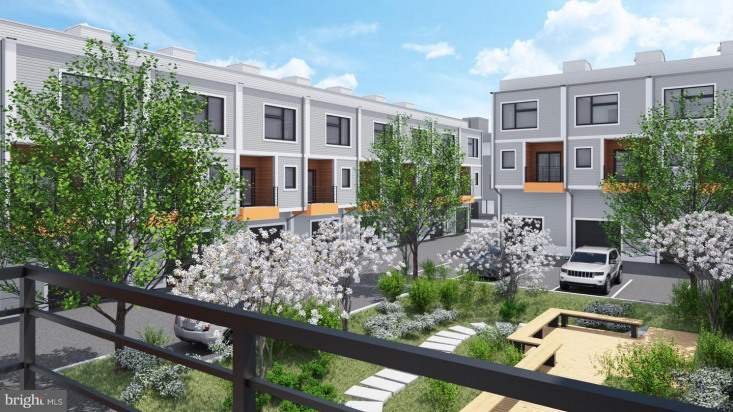 Also included is a 1YR builder warranty and a 10YR tax abatement (taxes are estimated and not finalized by BRT). 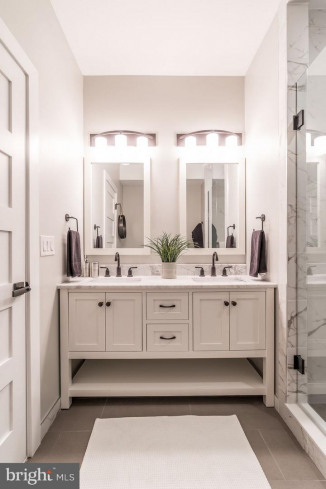 Some homes have the ability to pick finishes ~ inquire about the possibilities.  Visit the website www.blairgarden.com for additional information and schedule your tour today.